“In the U.S., more than 38 million people suffer from migraines. Some migraine studies estimate that 13 percent of adults in the U.S. population have migraines, and 2-3 million migraine sufferers are chronic.” If you are one of these 38 million people, you understand the pain and suffering caused by migraines. Migraines can impact your ability to live your life fully and force you to miss time at your job and with your family. While no one knows exactly what causes migraines, there are many strategies you can employ to minimize your discomfort. There are four distinct categories of migraines based on their frequency. The intensity and number of occurrences can change as you age along with any lifestyle changes you may make. No migraines: This is the ideal stage where you never suffer from migraines. Low frequency episodic migraines: This category is for sufferers who experience less than 10 migraines per month. High frequency episodic migraines: This describes people who endure 10 – 14 migraines per month. Chronic migraines: People who fall into this category suffer migraines 15 or more days a month. Chronic migraines are characterized by the same symptoms as regular migraines. You may have a severe migraine with throbbing pain accompanied by nausea, dizziness, sensitivity to light and sound. You may also feel tingling in your extremities and experience vomiting. The key factor that differentiates chronic migraines from other types is the number of episodes. If you experience migraines more than 15 times a month for three months, you are considered a sufferer of chronic migraines. 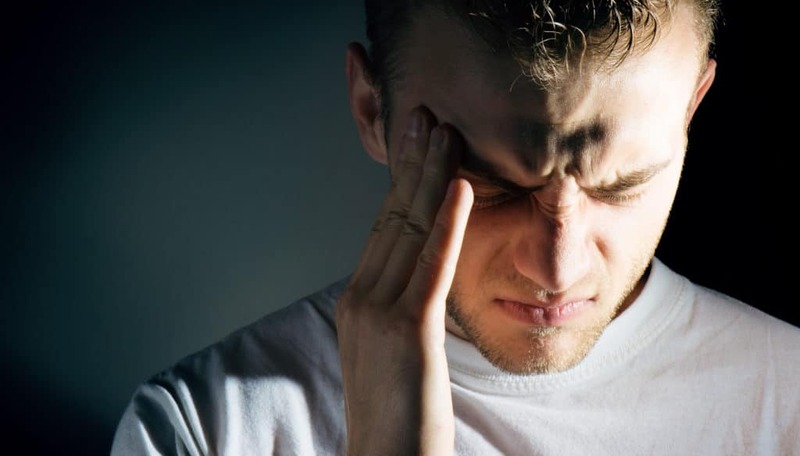 While the exact scientific cause of migraines has not yet been determined, there are some triggers and factors that are associated with these severe headaches. Shifts in hormones: Dramatic changes in hormones can trigger migraines. Some women will find they develop worsening and more frequent symptoms just before their menstrual cycle due to the fluctuation of hormones. Emotional distress: High stress levels, depression and anxiety can all trigger migraines. Diet: What you eat and drink can dramatically impact the number of migraines you have and how intense they are. Alcohol and caffeine have been identified as triggers as well as some types of cheeses. You may also find that dehydration can bring on migraines. Environment: Your environment can also play an important part in managing your migraines. Strong smells such as cigarette smoke and bright, flickering lights can trigger a migraine. While there is no single solution to curing migraines, awareness of possible migraine triggers is an important aspect of any treatment plan. Researchers suspect that migraines are initiated by unusual activity in the brain that impacts brain chemistry, blood vessels and nerve communication. While there is not a cure for migraines, there are many approaches that can reduce the frequency and intensity of migraines. Knowledge and Awareness: The first step in any treatment plan is to make yourself as knowledgeable about your migraines as possible. Do they happen at the same time of day or month? How long do they typically last? What are your symptoms? Do you have any triggers? Start a migraine journal so you can better answer these questions. Tracking your migraines can give you valuable insight that can help you and your medical team create a successful treatment plan. Lifestyle Changes: If you find yourself under a lot of stress or have an imbalanced diet, small changes may make a world of difference. Find healthy ways to destress such as exercise and meditation and cut down on unhealthy habits such as smoking. Try to get the proper amount of exercise and sleep. Drinking enough water can also help. These changes can help improve your migraines as well as your overall health. Alternative Treatments: Some patients find that alternative therapies such as acupuncture, acupressure and essential oils are successful in providing relief. Medical Interventions: Your doctor can work with you to find which medications are best for you. There is a wide array of over-the-counter and prescription medications that can be used as preventative medications as well as to treat your symptoms. People with chronic migraines need to be careful when using medications because there are often side effects associated with long term use. Some patients can suffer from rebound migraines. Never take medication without instructions from your doctor and make sure that the medicine is part of your overall treatment plan. OTC Pain Relievers: These pain relievers are typically used for mild symptoms and include aspirin, ibuprofen and acetaminophen. Complications may arise if these medications are used over a long period of time. Always consult with your physician when taking over-the-counter medications. Triptans: Triptans work by reducing the swelling of your blood vessels. They are used to treat the symptoms of migraines and are not preventative. There are possible side effects and complications for patients taking triptans so make sure that your doctor is aware of any other medications you are taking. Ergots: Ergots restrict the blood vessels in the brain, helping to alleviate pain. Ergots are not preventative and work best when taken as soon as the symptoms of a migraine begin. Ergots also come with common side effects and while they are available for migraine treatment, they may not be the best option long term. Opioids: Opioids are prescribed for pain relief and are typically used for patients that cannot take any other medications. They can be habit forming and should be used with caution. Cardiovascular medications: This category includes beta blockers and may be used as preventative and for treatment of symptoms. These medications work by relaxing and improving blood flow. Antidepressants: Antidepressants adjust the levels of serotonin in your brain which can help decrease the number of migraines you experience or improve the severity. While there are many medications available, it may take time to find the best overall solution for you. Lifestyle changes as well as awareness of your triggers and symptoms in conjunction with medication can dramatically improve chronic migraine pain. At Arizona Pain and Spine Institute, we are experienced with treating migraines. We will work with you to develop a comprehensive treatment plan and aim to improve your quality of life. You don’t have to go it alone. Contact us today!